House Construction Methods – What are the options? There’s an ever growing number of house construction methods available for your self build, each with their own advantages. We’ll have a look at the more popular options and highlight a few niche techniques that might be of interest to you. In this section, ‘house construction methods’ refers to the construction of the main structural load-bearing shell or ‘superstructure’ of a house. In most cases, the same facing materials can be used and the appearance of a completed house is similar, irrespective of the build method used. The majority of new homes in England and Wales are built using traditional masonry construction. Most of us are familiar with this method and, along with a number of advantages, there is a deep historical and psychological attachment to masonry construction that has contributed to its continuation as the main house building method in the UK. Timber frame covers a number of build systems and in essence it is a traditional method of construction, however manufacturing developments have moved many of these methods into the classification of modern methods of construction discussed below. It is the second most popular technique for new home construction in the UK and, according to the UK Timber Frame Association, is the fastest growing method of construction in the UK. 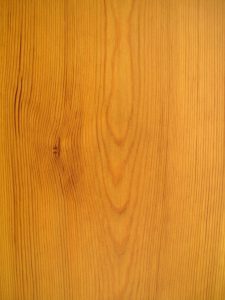 Traditionally used in areas rich in timber resources such as North America and Scandinavia, it comes with some good environmental credentials. As technology, manufacturing processes and construction knowledge increase so do the number of house construction methods available to house builders. The term ‘Modern Methods of Construction’ refers to a collection of relatively new construction techniques that aim to offer advantages over traditional methods. Although referred to as Modern Methods of Construction, some of these have been used for some time. Conventionally this is an area where self builders pioneer, particularly in terms of sustainable construction. Where developers were happy to stick with proven methods of construction that suited buyer demand, many self builders were and still are, willing to research, invest and try something a little different in order to achieve an individual home that meets their needs. You only have to watch a couple of episodes of ‘Grand Designs’ before you come across an unusual build method. In light of increasing housing demand, skills shortages and higher sustainability standards, the Government is encouraging the house-building sector to use and develop MMC in an attempt to meet these challenges. Most of these modern house construction methods have evolved to some degree from their traditional predecessors. Methods such as thin joint systems with Aircrete blocks and structural insulated panels (SIPS) are part of the ongoing evolution of masonry and timber frame construction. Other techniques more familiar in larger scale commercial construction have developed, bringing alternatives with some interesting qualities to house building. 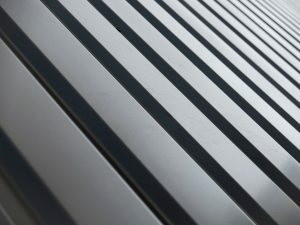 Steel frame systems have developed and in-situ concrete techniques have led to the development of insulated concrete forms (ICF). 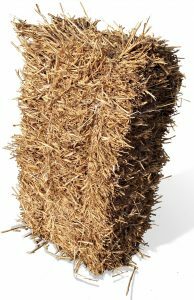 Another unlikely material to make its way into the modern methods of construction is straw. A company called Modcell have developed a timber, straw and hemp panel system that can be produced in ‘flying factories’ then delivered and erected on-site. Facit Homes have taken things a step further and deliver a ‘mobile production facility’ to the plot where the components of the superstructure are manufactured on-site! A common denominator of the modern methods is a reduction in construction time on site and an increase in the amount of manufacture that takes place in a controlled factory environment. This brings prefabrication to mind but contrary to the images that ‘prefab’ conjures up, many of the kit houses that are available break new ground in terms of design and construction. Reducing the effect that weather has on production. Fewer materials deliveries and so reduced disruption and fuel consumption. Meeting demand during skills shortages. Cannabricks – Hemp based products. Cordwood – Logs and masonry mortar. Adobe – Sand, clay, water and sticks or straw are mixed and formed into blocks for building. 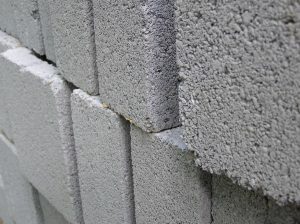 Cob – Similar to Adobe in constitution but applied wet rather than forming blocks. Rammed Earth – Another earth construction method but this one uses formwork. Each house construction method has its own advantages and due to the complex nature of the processes involved and the unique requirements of different projects it is very difficult to directly compare them in terms of cost, time and sustainability. When assessing the environmental impact of a system, the whole lifecycle of the products involved needs to be considered including acquisition of raw materials, transportation, processing, manufacture, waste generation, operating efficiency, specification, lifespan and recyclability at the end of its life. Time comparisons also require further investigation and although site times may be reduced by offsite prefabrication, lead and manufacture times must also be considered to give accurate schedule predictions. To compare costs accurately, build up a set of costs for each method and compare them directly for your specific project. Have a look at our Money section for tips and techniques on doing this. The links from this page provide more information on the various house construction methods. Weigh up the pros and cons and compare them to what you want from your self-build home. Most of the modern methods are gaining acceptance and shouldn’t be a problem but now is the time check. Despite many methods laying claim to being the ‘future of construction’, there is no definitive solution to choosing one of the house construction methods, it really comes down to feasibility and which one suits your personal requirements the best.